Ursula’s journey into the birth world started as a young girl as the local La Leche League (LLL) meetings were held in her house. However, it was not until her pregnancy in 1997 that she was truly immersed in all things birth related. During her second pregnancy in 1998 she became a certified childbirth educator and birth assistant. In 2000, she became a doula and in 2001, she became a LLL leader. And in 2010, she became a certified midwifery assistant. As both doula and a midwife assistant, Ursula has attended over 1,000 births. As well as worked with over 2,000 other families as an educator. Today, Ursula owns and runs Birth You Desire ® a doula collaborative that also offer classes, trainings, workshops and much more. She also organizes the DMV quarterly birthworkers meetings. Blogs on several professional websites and is considered a major force in the WDC metro area. Through her years of work, Ursula has developed an intuitive approach to working with her peers, other professionals and her students. She is a true believer in honoring women’s bodies and the natural process. And yet respects the medical need for intervention when necessary. 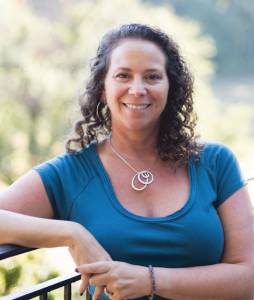 Ursula not only inspires her clients to better understand how their choices affect well-being, but she takes the mind-body connection to a whole new level. with her practice as a birth worker.